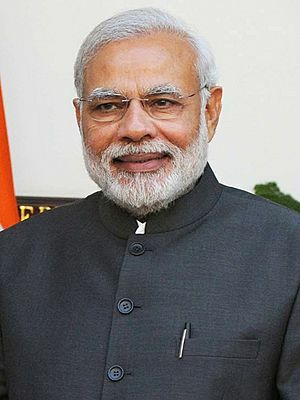 Narendra Damodardas Modi (born 17 September 1950) is an Indian politician. He is the current Prime Minister of India serving since 2014. He was the 14th Chief Minister of the state of Gujarat. 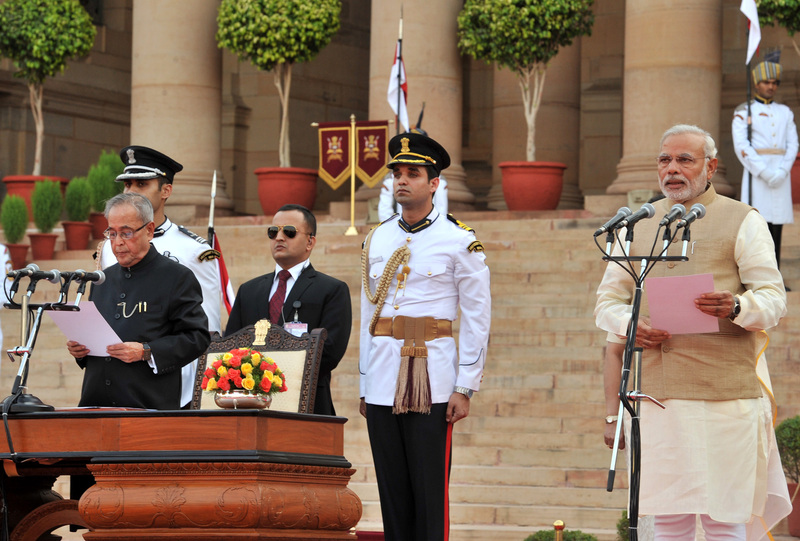 Modi was elected Prime Minister of India in May 2014. He is a member of the Bharatiya Janata Party (BJP). Modi is a Hindu Nationalist. He is a member of the Rashtriya Swayamsevak Sangh (RSS). 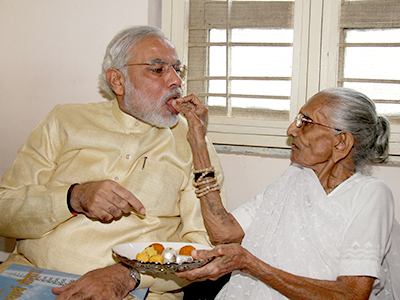 Modi with his mother, Hiraben, on his 63rd birthday on 17 September 2013. Modi and his cabinet ministers at a Planning Commission meeting in New Delhi, 2013. Modi with Prime Minister Atal Bihari Vajpayee in 2002. 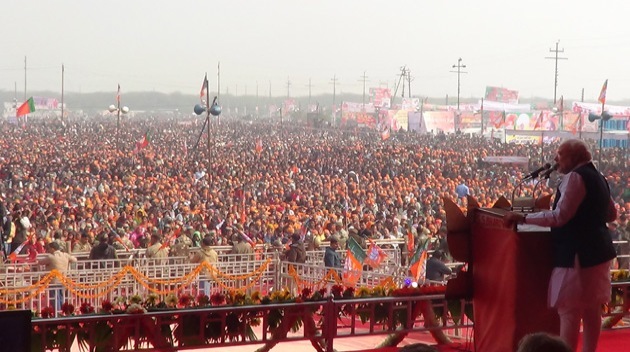 Modi addressing a rally in Meerut during the 2014 general election campaign. Modi at the launch of the Make in India programme. Modi participates in the cleanliness drive in his constituency of Varanasi. 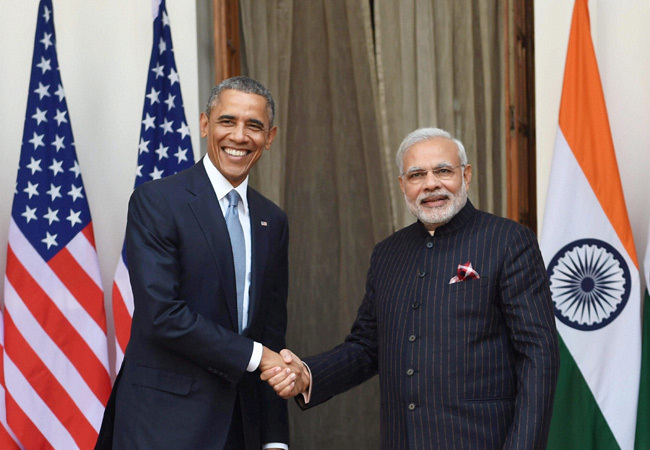 Modi(right) at CoP21 Climate Conference, in Paris, announcing the founding of an International Solar Alliance (ISA). November 2015. 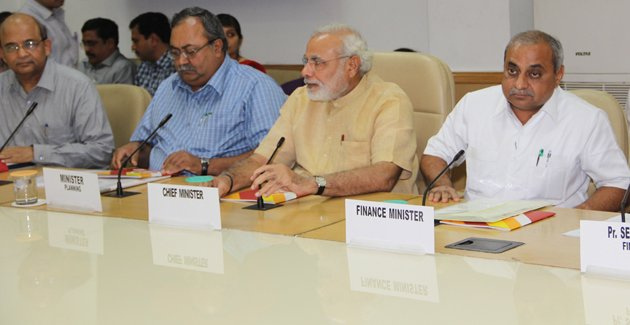 Modi at the consultation meeting on replacing the Planning Commission with Chief Ministers of various states. Narendra Modi Facts for Kids. Kiddle Encyclopedia.